Power Banks? You Might Have Bought A Bag Of Sand Instead – footsteps……..
Power Banks seems to be a compulsory for todays mobile gadget. From your mobile phones to phablets and tablets, they all consume a lot of power and while on the move, you need to recharge your gadgets. Its a source of power if you can’t find a power outlet to charge your gadgets. Even if you can find one, the time taken to charge will make you immobile for a few hours maybe. Power banks are aplenty in the market today. Either at computer and IT stores or on the internet. They come in different prices, shapes and voltage. Choose the one suitable for you and what you are going to charge. However NOT all power banks in the market is considered safe for your consumption. I bought two powerbanks and receive a small lipstick powerbank free. However the small powerbank 2800mAh did not work at all except for the small built in torchlight . It can’t charge my simple handset. Luckily its FREE with a loyalty membership from a IT shop. Anyway I wasted my RM50 for that one year membership. Talking about powerbanks I think you can read this blog that I stumble on the internet. Beware of cheap powerbanks from China. 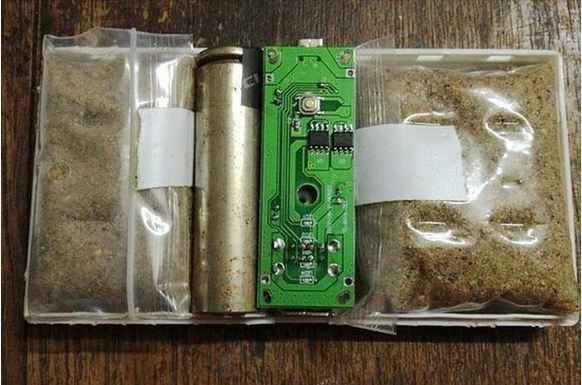 I would never ever purchase china’s powerbank which has nothing but consist of sand only. Thanks for sharing such an important information with us.